After 40 years of framing, we’ve seen our fair share of iconic moments in the artistic and cultural landscapes. From amazing rock concerts to unforgettable sporting events (we’re looking at you 2016 World Series Champion Chicago Cubs), framing is akin to the hieroglyphics of the modern age. So in honor of 40 great years, we’re taking a trip back in the time machine to explore the best framing icons of each decade. The 1970s were all about the poster. From museum shows to rock shows, everyone was rocking a poster on the wall. Metal frames were particularly in vogue then too, allowing the graphic art to take center stage. The 1980s brought with it the popularization of Thomas Kinkade, dubbed the “painter of light” for his naturalistic scenes with highlights that appeared to glow. His canvases were mass-produced prints to which he added small, brightly toned details. Popular frame choices for these pieces? Mauve and aqua frames which accented the bright colors. People looking for that little je ne sais quoi turned to the unique look of the vintage French poster in the 1990s. Around this time, there was also a turn towards larger, more detailed frames with spectacular finishes - as opposed to the slim metal frame profiles of the 1970s. By the 2000s, limited edition prints are waning in favor of creative photography. And now, thanks to the smartphone, the personal photography movement is starting to form. People are increasingly interested in framing their own stuff - personalization trumping trend-driven art. And today? It’s all about framing what you love and loving what you frame. 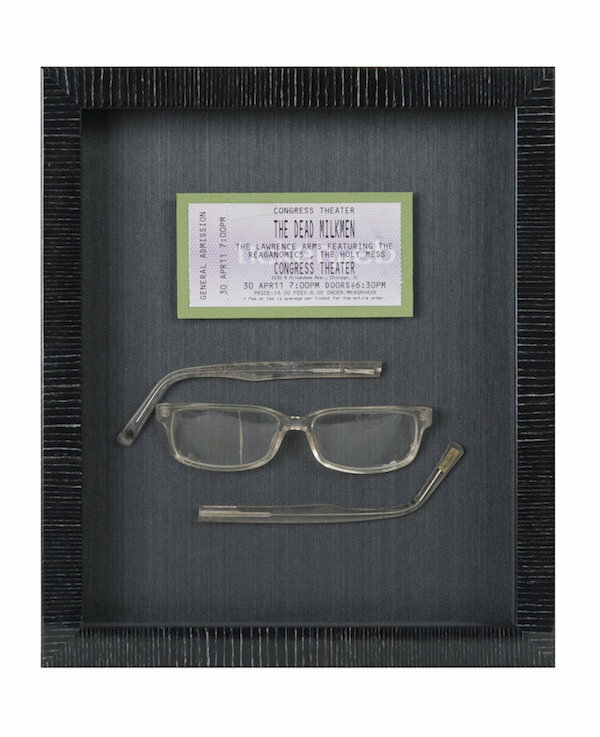 From a guitar framed in acrylic to a glasses casualty from a great rock concert, if the current decade has taught us anything it’s that everyone has something they love and have been meaning to frame. Need more proof? Check out the plethora of examples on display in our inspiration gallery. We’re beyond grateful, and a little bit nostalgic, at having a front seat to all of these moments in our customers’ lives over the past 40 years. It makes us even more excited to see what the next 40 will bring!